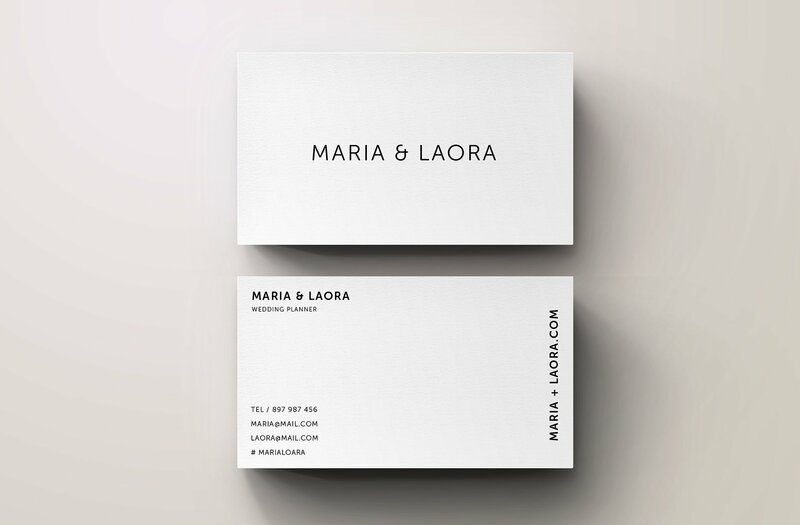 A business card is not just a tool that people use to maintain their connection with one another or provide information on how they can be reached through different mediums. 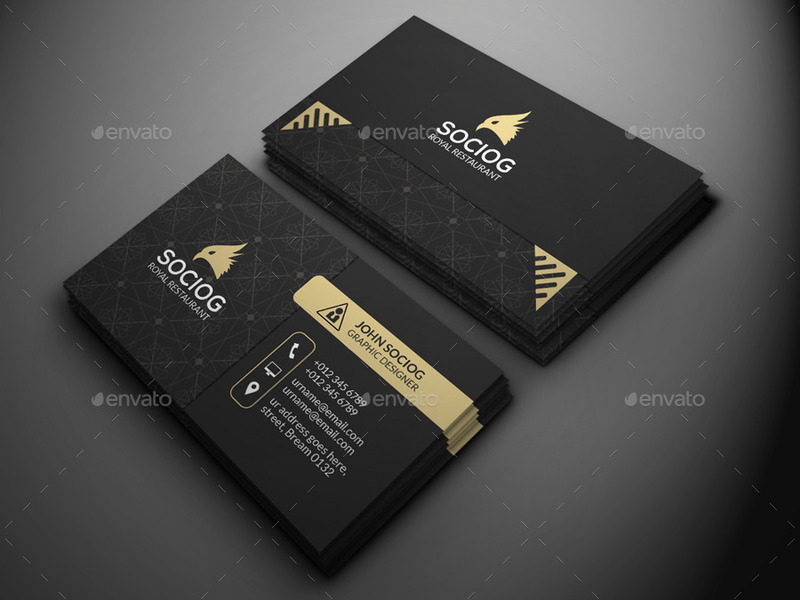 Especially with the development of work processes, a business card is now a part of the branding of an individual or a company. 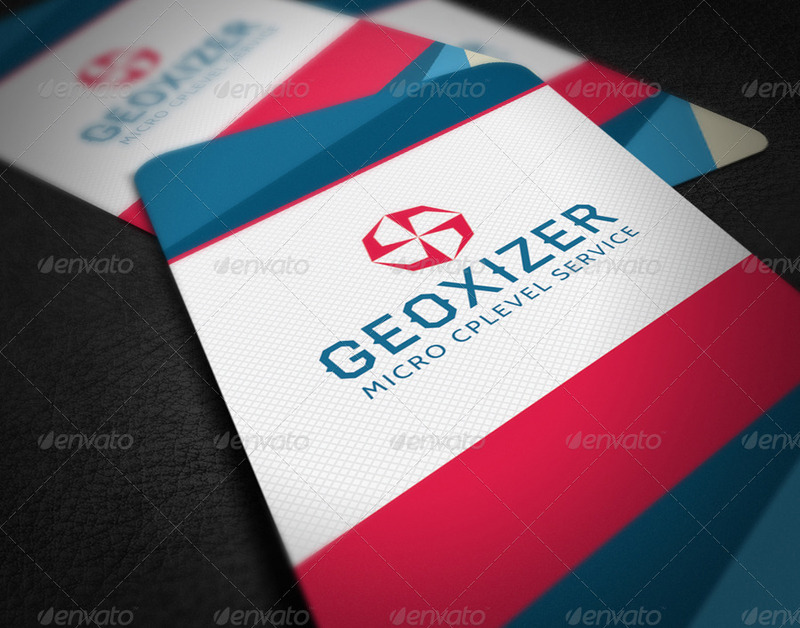 There are a lot of ways on how the best business cards can be beneficial to various entities. Since there has been a rampant growth of business transactions between different industries and fields of expertise, the overall appeal of business cards also evolved throughout the years. 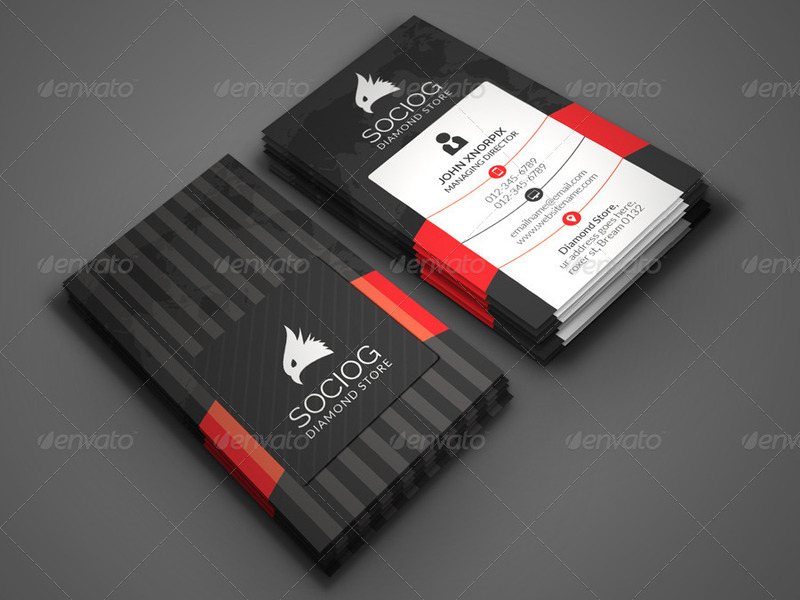 Business cards, before, are just printed in simple or basic sheets of board or paper. However, a touch of luxury can already be added to their structure and appearance nowadays. Luxury business cards are used by entities who would like to present themselves as a trustworthy, luxurious and elegant brand. If you want to use a luxury business card for your business or for yourself, you may refer to the samples that are listed in this post. Browsing through these samples will help you to come up with a design that is both luxurious and is truly your own. What is a Luxury Business Card? It is a tool that individuals and even corporate entities can use to promote themselves and suggest continuous communications with the person to whom the card will be given. A luxury business card is a material that allows people in the high society or on a particular business field to ensure that they can reach a person whenever his/her expertise, presence or business ability is needed. It is used to ensure that professional connection will push through between companies and/or individuals so that business deals or prospective transactions will have greater chances of realization. If you remain connected with people that you have met in an event especially if business-related, you can make yourself more relevant especially if you work in the industry where the people who received your luxury business card are immersed in. 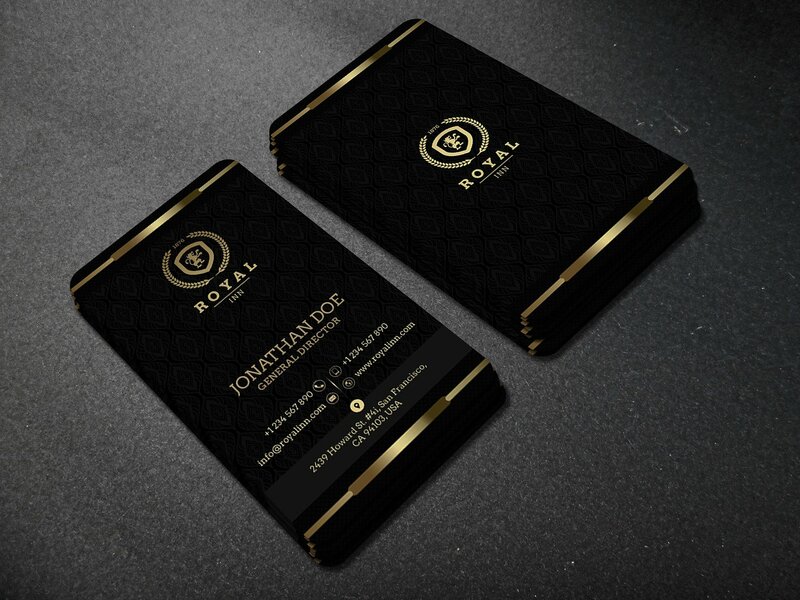 A luxury business card can make you and your deliverable more marketable and appealing. It is a business tool that has been used for years to formally provide information about an entity who would like to create a professional relationship with another business. Since a luxury business card is a way of self-promotion and presentation, it will be easy for a person to ensure that his/her expertise and characteristics are acknowledged. Through the help of a luxury business card, a healthy way of professional communication can be established. Why Is a Luxury Business Card Considered Important? A luxury business card, when created and handed out in an appropriate manner, truly matters. It can represent the entirety of the entity to whom the business card is from. Even if digital communication and electronic transactions are already used in this modern age, having a business card is still an effective way to provide a means of connection may it be in the business industry or the personal lives of people. A luxury business card, for one, can give an impression that a person is rich or that a business is doing well in the industry where it belongs. A luxury business card is a powerful tool that can promote the image of a person. It is a way to provide subtle information that can contribute to the excitement with regards personal interaction. Technology may be a great way to develop mediums of communication, but it can be more efficient if luxury business cards may be given as they already contain all the communication channels where an individual or a business may be reached. A luxury business card can provide an elegant touch when making transactions more personal. Even professional matters should be taken with a little personal approach. 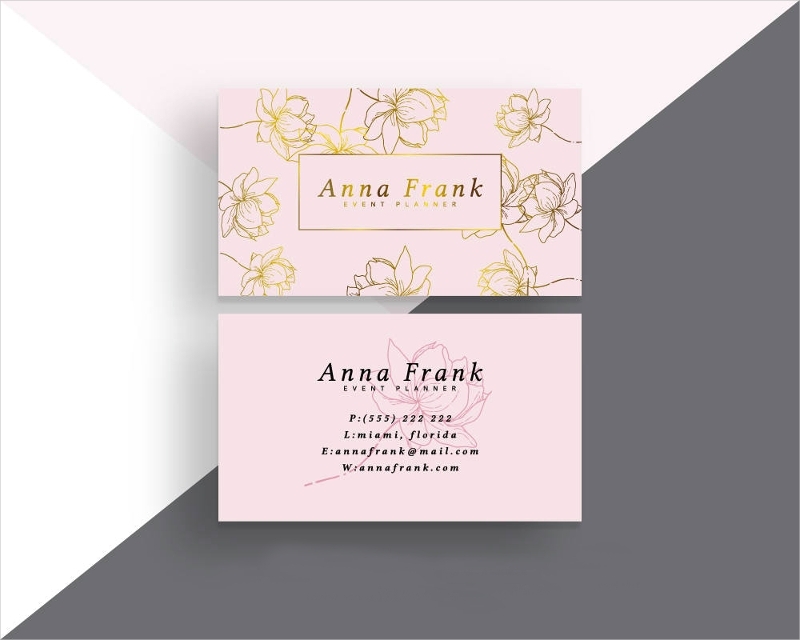 If you have a luxury business card that you can give to business entities, then it is a great way for you to show that you are more than interested to maintain the connection that you have with them. The importance of adding a personal touch to these kinds of transactions can make or break the perception of other entities about you. 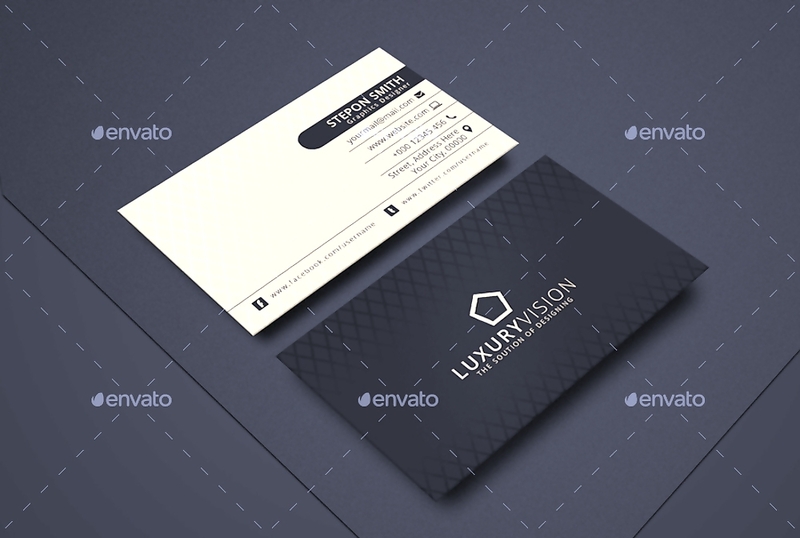 A luxury business card is a compact information listing. It already contains the details that you would like to initially present to entities. With this, lesser questions can be in the mind of the people who would like to know more about you and how they may contact you in various time duration. Especially if you have your professional details in your business card, it will be easier for people to know whether what you can offer them with is essential to what they truly want or even need. A luxury business card promotes genuine interactions even if you have business prospects to achieve. Prospective clients, customers, partners and investors can be impressed with how you present yourself even with your business cards which in turn can wrap up the entire encounter that you have with them. If you will use a luxury business card, you can make sure that you can get the attention of the people that you would like to transact with. 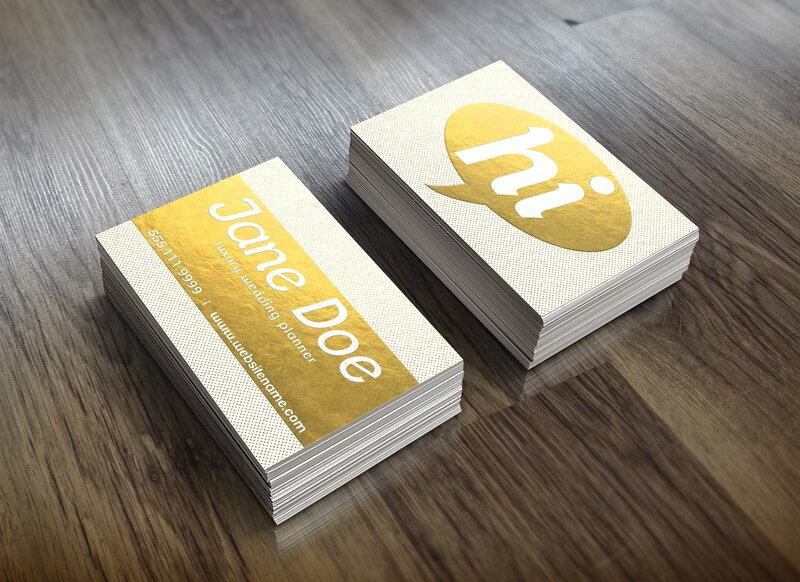 As an example, will you not be astounded if you are handed with a business card with gold details and an elegant texture? A luxury business card can present your brand in a more marketable way – hence paving the road for people to give importance to you and your business. Having a business card on hand can make information exchanges more remarkable and memorable. A lot of people use their visuals for judgment. If you will present a luxurious looking business card, then a perception of who you are and what your business is made of can be made. We all want to be associated with something that is great and relevant, right? 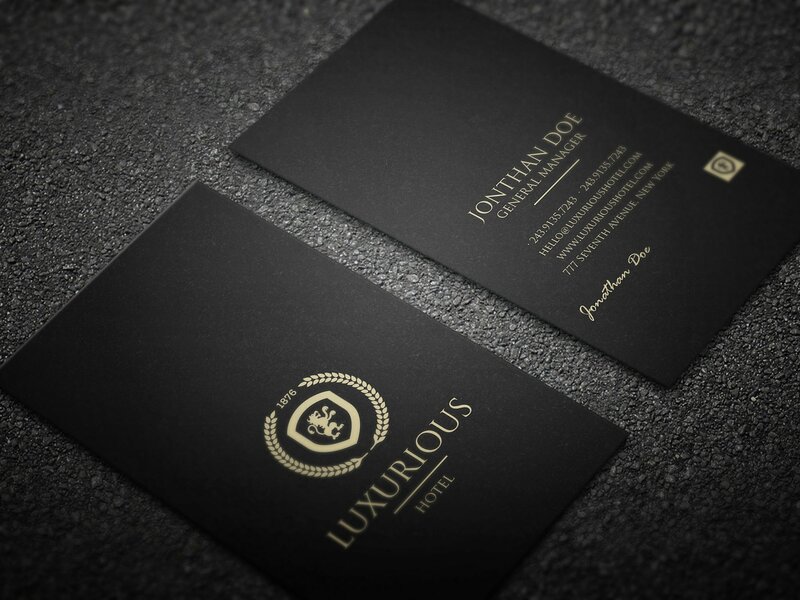 Disseminating business cards can be easier if they are luxurious. 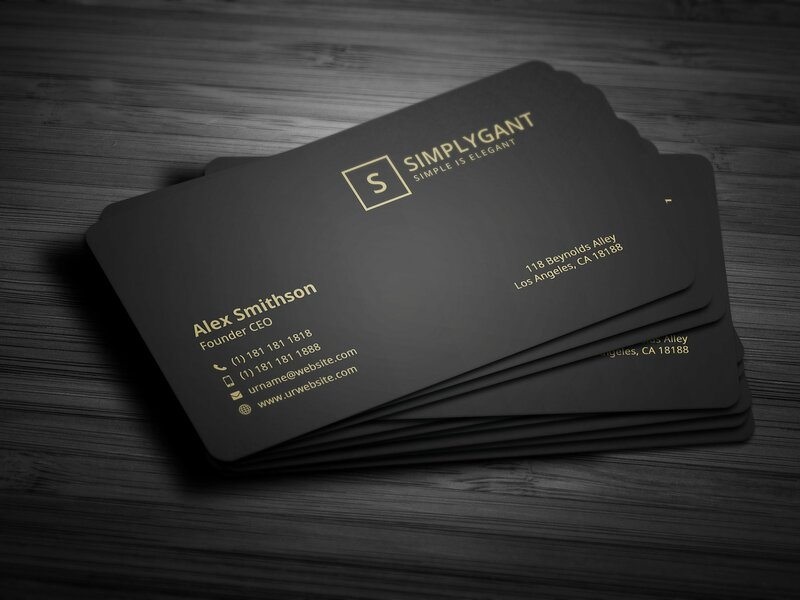 A business may have a lot of generic business cards to give out during events but people will be more drawn to those corporate entities who can hand them with a classy looking business card. People want to work with brands who can also showcase their personality. With this, a luxury business card can work best if you want people to be more interested to get your business information. Using a luxury business card can help a business to present itself at its best during corporate programs, events and gatherings. There are a lot of situations where luxury business cards can be given to different entities. As an example, a business representative can give out his or her business cards during corporate conventions, exhibitions, business trade shows, formal conferences, and even on fundraising banquets. With all the items presented above, it is for sure that a luxury business card is an effective and efficient marketing tool. If you do not know how to create one that will work for your advantage, it will always be easier if you have a business card template or sample that can serve as your guide and reference. 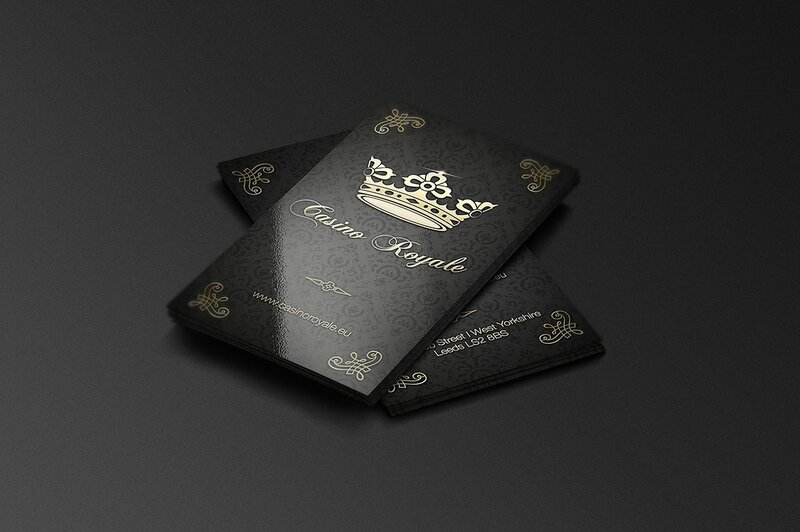 Always incorporate the theme of your company to the design of the luxury advertising business card. 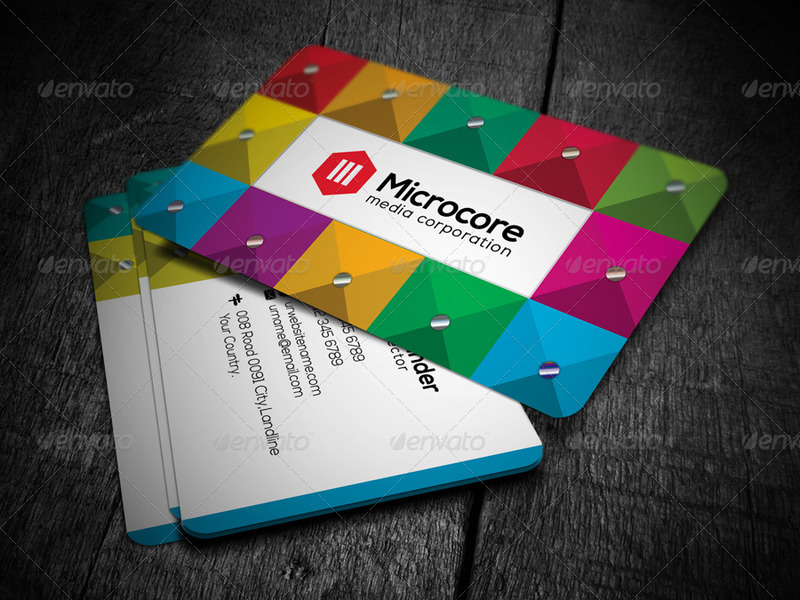 It is essential for your brand to be reflected in the tool so that people can be more aware that the business card is a representation of the business aesthetic. Do not forget to put the name, business logo, and/or corporate tagline of the company. As much as possible, let these items remain as is or how they are used in the daily operations of the business. To make these items look luxurious, you do not need to tweak them. What you can do is to associate design items near them or as their borders. Associate the image that you would like the company to be known for. Your luxury business card must carry the essence of the business. It should reflect the identity and the core of the business. 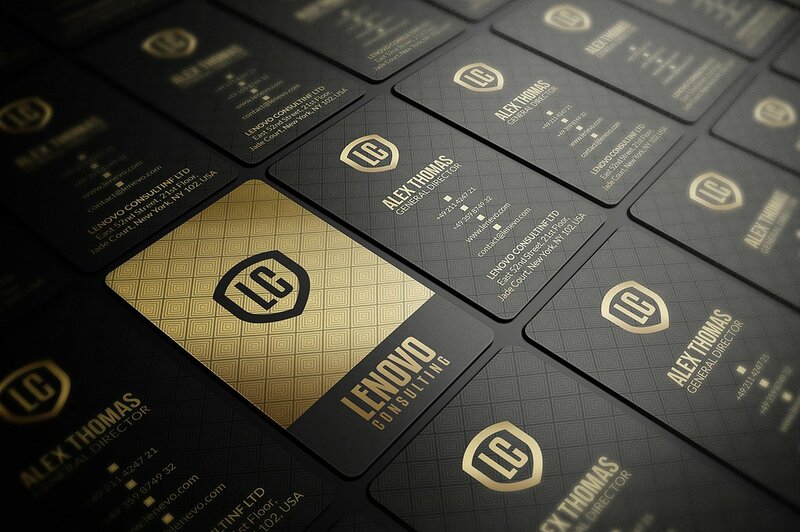 As we have mentioned above, a luxury business card is no ordinary tool. It is a way for a business to provide a professional platform of information exchange. 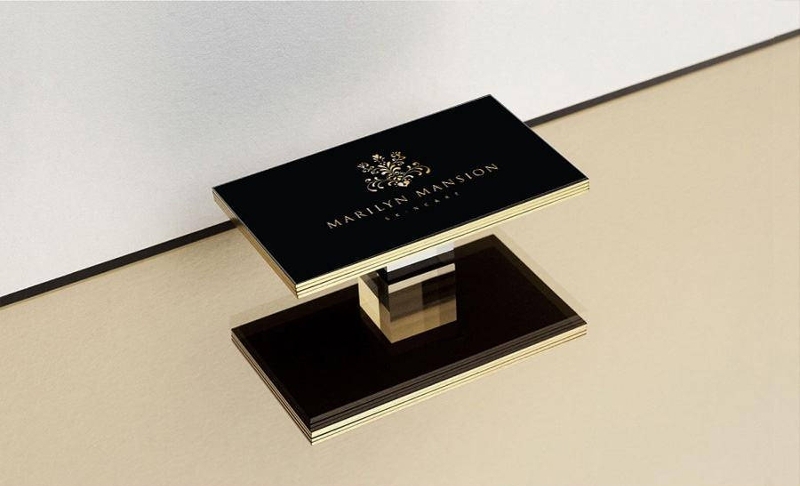 Make your luxury business card memorable and unique. Use original design materials and one of a kind formatting so that people can differentiate your business card to those that are used by your competitors. 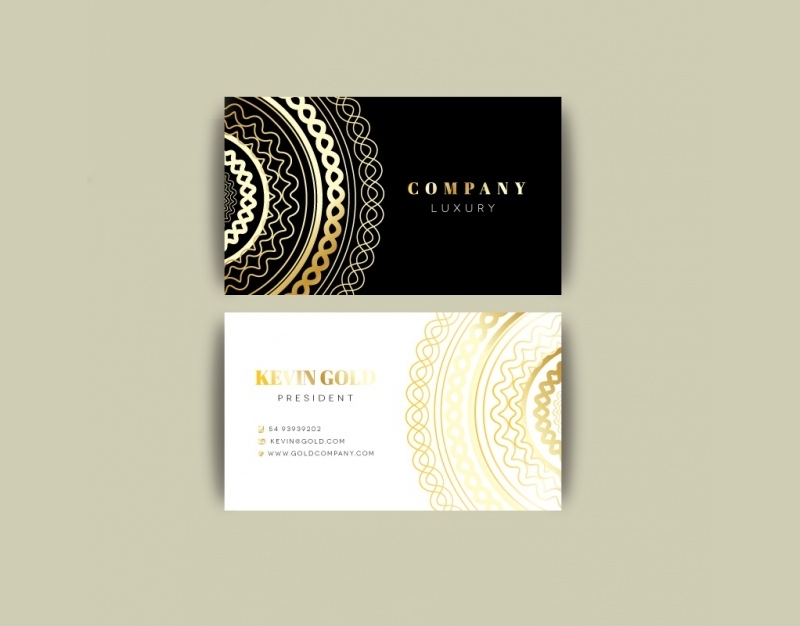 If you can present your corporate image when using a luxury business card, it is a measure of how your design and planning processes have been effective. Always ensure that your luxury business card will stand out so that the entirety of the brand’s business can be remarkable. Use an appropriate language when offering your business card. 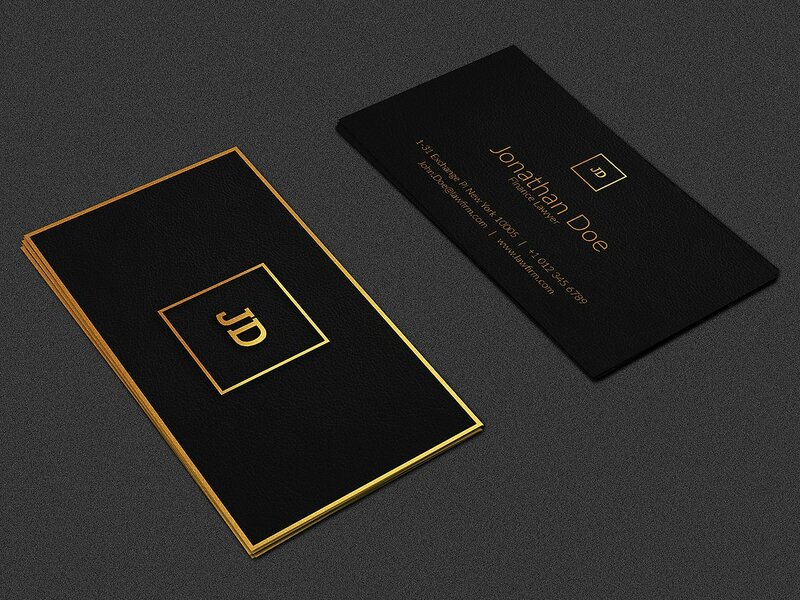 Do not boast about how grand the design of your luxury business card is. 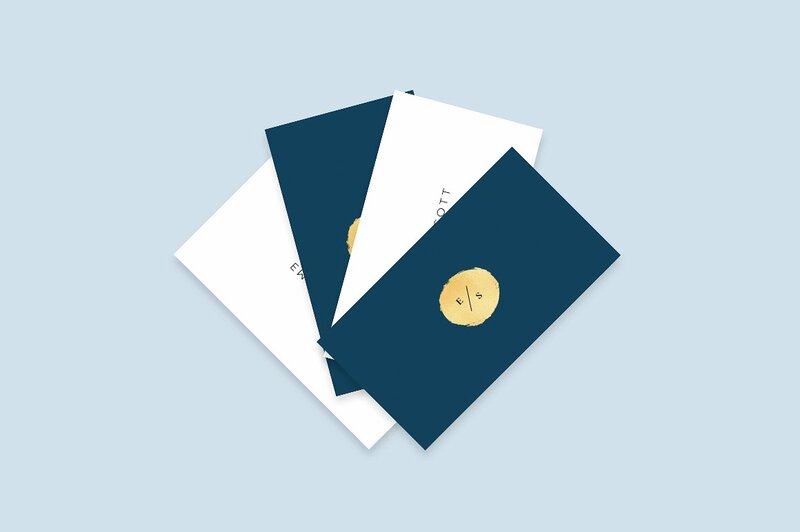 It will be best if you will give focus on the thought that you would like to continuously communicate with the entity rather than highlighting how great your luxury business card looks. Know the culture of the location where you are currently at or the nationality of the people that you are talking with. There are instances where the latter may be hard to identify. However, you should make conscious efforts on how you can give your luxury business card without offending the person to whom you will give it. As an example, Japanese people hand out their business cards with the use of two hands. If you want to return the respect that they have given you, give your business card the same way as they did. As much as possible, do not be selective about who you would like to give your business card with especially if you are talking with a group. It will feel awkward if you have talked to three people in the room and the two of them can see that you only gave your business card to the other person. This action can turn them off. No matter how luxurious your business card looks, it will still not make sense if you will not be professional enough when giving it out to people. Always identify whether the timing is already right to hand out a business card. Do not give your business card right away especially if you still have not talked with the person or you just introduced yourself. A business card is a way for you to end a conversation and not to start one. However, there may be instances where a business card can be given first especially during meetings that are unforeseen or unplanned. As we have suggested, have an objective judgment when it comes to the timing of giving your luxury business card. Consider the particular situation where you are currently in. A luxury business card is a professional tool. This helps you to communicate with people formally and properly. In various instances, giving out a business card is a sign that you are confident with who you are and what you can provide the people that you talk to. 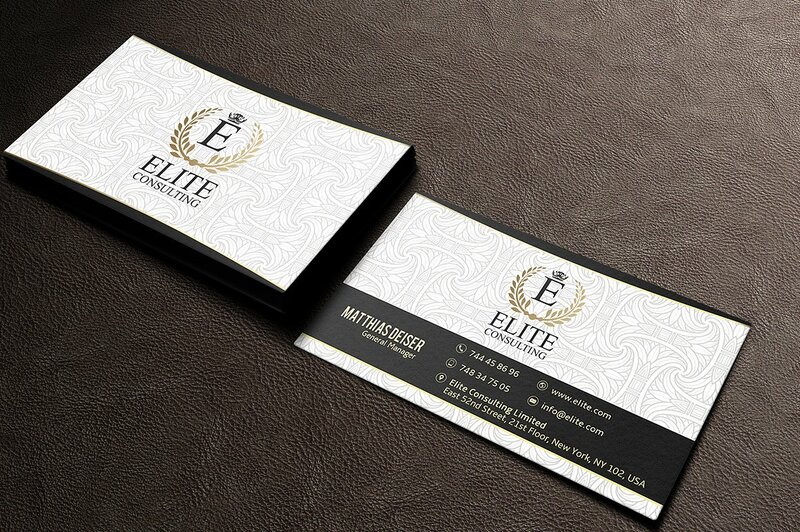 A luxury business card is mostly used by luxurious brands, known personalities, and monetary-rich entities. 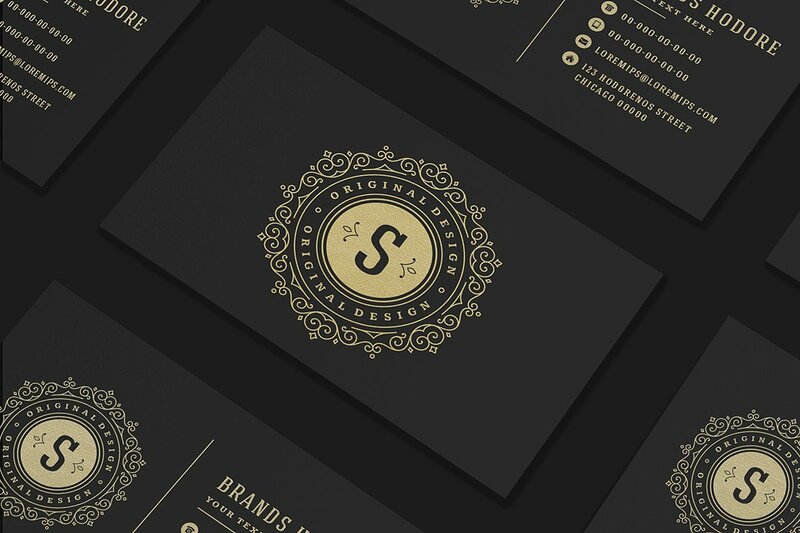 A luxury business card is presented in a more elegant manner. 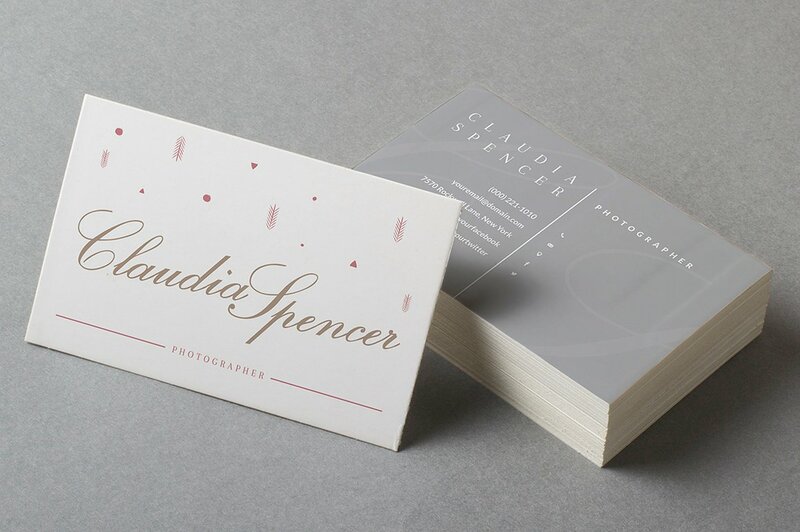 A luxury business card is printed in a more expensive paper or board. 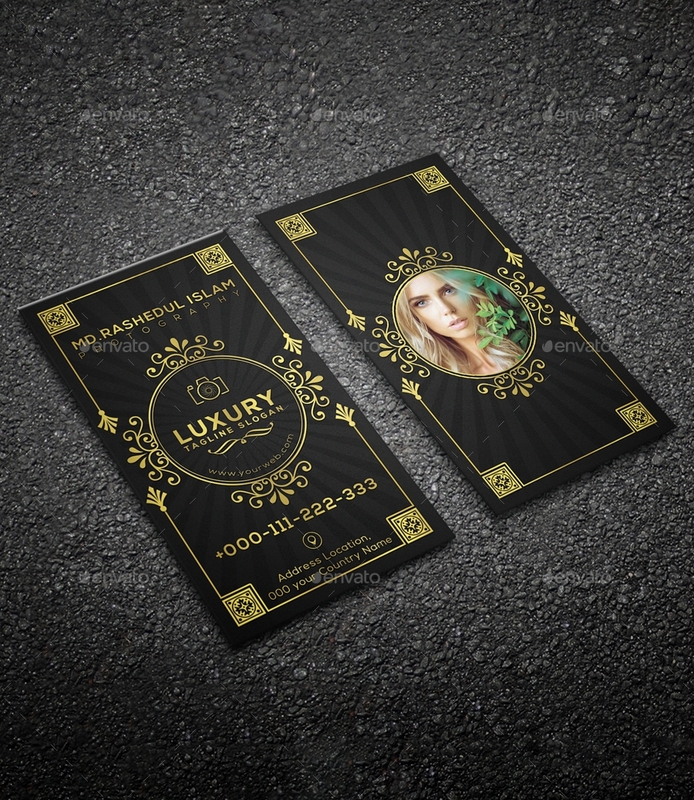 A luxury business card may contain special elements and design items like gold foils and the like. A luxury business card is not commonly used in basic business transactions and is usually given to very important people. A luxury business card may not always be given to all the stakeholders that an entity transacts business with. The above mentioned details may or may not be represented in just one luxury business card. As long as you keep in mind that your business card should be classy, luxurious, and designed perfectly; then you can come up with a luxury business card that can work best either for yourself or for the company where you are associated with. 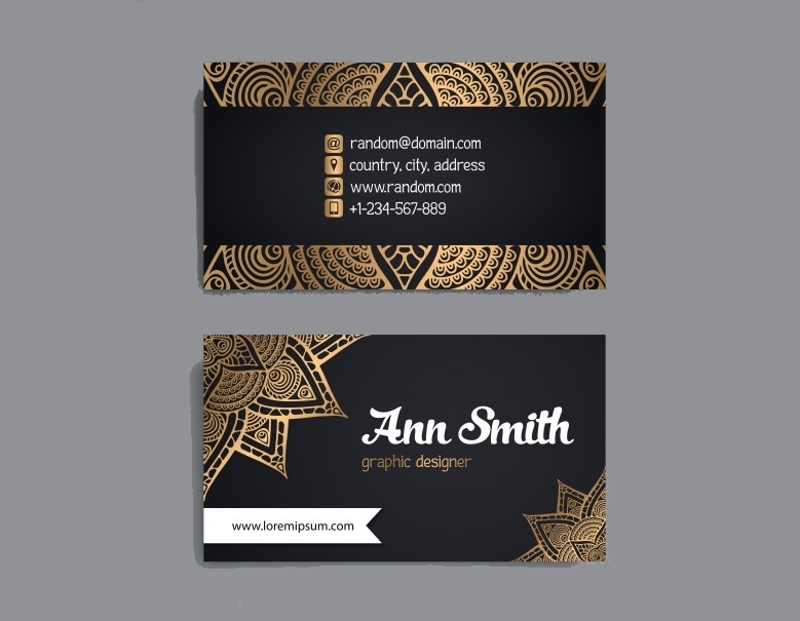 Make the design and content of the luxury business card work well with one another. Even if you want to come up with a great looking business card, you should still remember that your business card must be informative. Provide all the details that you would like people to know especially with regards on how they can contact you without sacrificing the luxurious design aesthetic that you want to have. Use font styles, colors, and sizes that are readable and understandable. 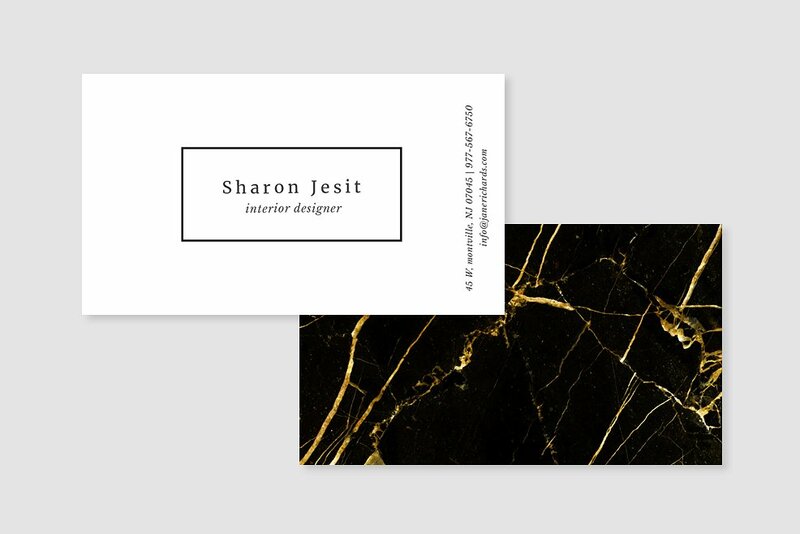 Use two to three color tones and fonts so that you can still make the luxury business card look put together even with the number of elements that you will put in it. 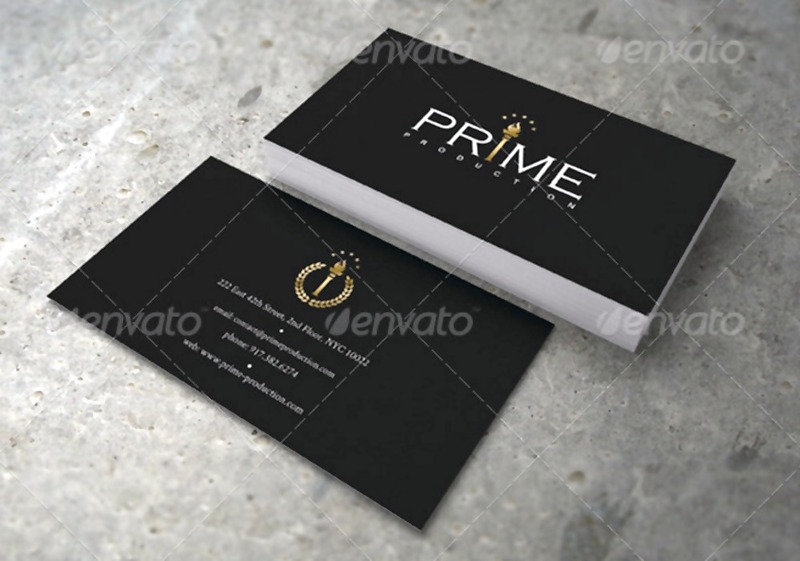 Refer to samples and templates of luxury business cards. 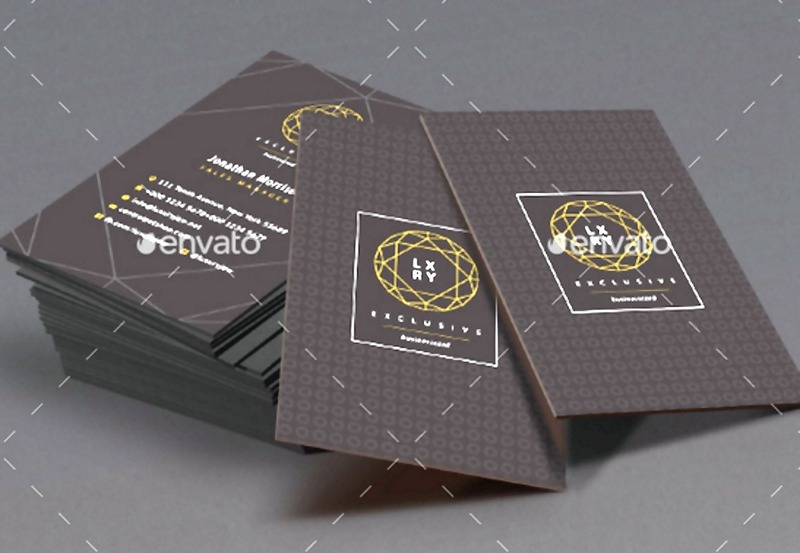 This activity will help you gather more idea on how to come up with a classy yet in-trend luxury business card. Stick to simple, classic and luxurious design items and materials. Do not go over the top especially when combining items or using vibrant and flashy colors. Your design aesthetic should be as refined as possible. You can use your luxury business card in any scenario where you need to introduce yourself or let other people know how they can communicate with you for business purposes. You can also give out your business card to various people from different walks of life. These are only a few of the reasons why you should always be ready to have your luxury business card on hand. 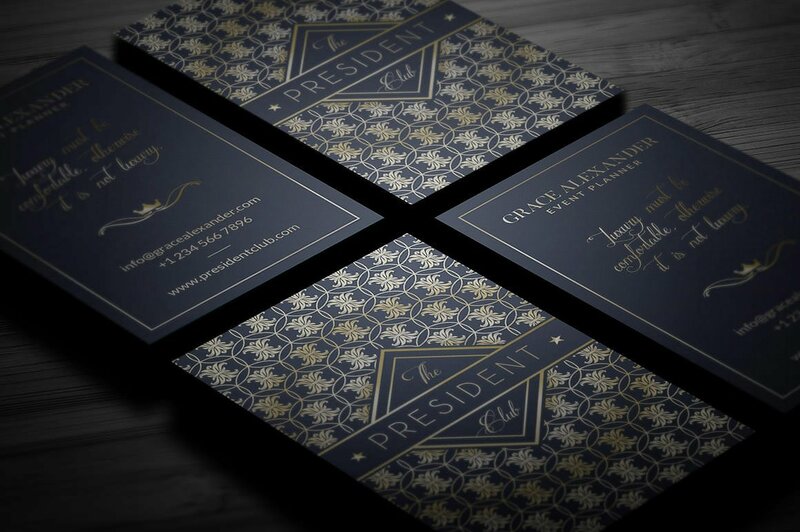 May it be a business deal that you would like to close, a client that you would like to convince to trust your business, or another corporate entity that you would like to partner with; having a luxury business card can do a lot of advantages for you especially when it comes to leaving an impression about you. Design your luxury business card accordingly and never forget to include all the important details that should be found in the card. Make your luxury business card one of your corporate strengths so that it can add up to the overall branding of the business and the employees who are working for the company.